It is no secret to anyone that the environment is changing as quickly as ever, unfortunately for the worse. It has then become a mission for many individuals and corporations to “go green”. Constructing an eco-friendly and sustainable building can actually begin at the initial phase. If the company can start implementing these kinds of practices at the start, it would be a big step forward in this advocacy. Use biodegradable, recyclable, and sustainable building materials. Use recyclable materials such as glass, lumber, plastic, rubber, and steel. These are all sustainable and renewable building materials. Reusing old materials when possible not only lessens the harmful environmental impacts of the construction process, but also helps you save money! Biodegradable resources can also help with reducing energy costs as well as pollution to the environment. Consider the windows and doors! Lots of companies now use electrochromic glass, also called smart glass. It uses electricity to change the glass from transparent to opaque depending on the settings. These can be programmed to change over the course of the day. Electrochromic glass helps save energy by reducing the load on the heating, ventilation, and air conditioning (HVAC) system of the building. It can also help maximize natural light that will consequently decrease energy costs and help keep buildings warmer during cold months. Invest in green roof systems. 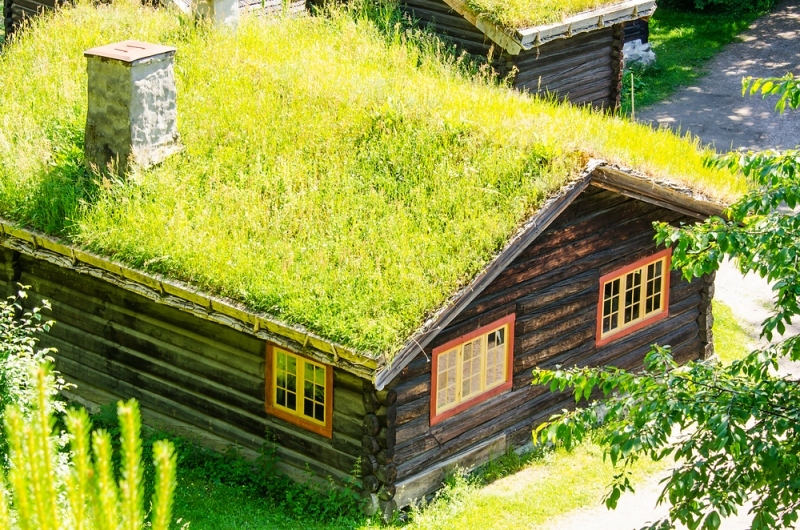 Green roof systems involve having a lush garden or plants on the roof of the building. These can help in managing rainwater and protecting the roof from the harmful effects of ultraviolet (UV) light. When these green roof systems are installed outside a building, they can also help with insulation and reducing heating and cooling costs. These gardens also reflect solar radiation and improve air quality by absorbing carbon dioxide and releasing oxygen. By installing water-saving fixtures in the structure of the building, it can help in reducing water wastage. These lessen the flow of shower heads, taps, and toilets when needed. Invest in water harvesting and purification systems that take advantage of rainfall and the recycling of water. Use renewable energy to power the site. Last but not the least, one of the most environmentally-friendly practices you can devote yourself to during construction is the use of renewable energy. Installing a commercial solar panel system on the roof that takes advantage of radiation from the sun can help in powering the building. Though it may be quite an expensive investment, in the long run, solar panels actually save a lot of money. These can also subsequently cut the excessive usage of electricity. Applying these tips and practices can definitely save both energy and money long after construction is over. Finding a good construction company that believes in this advocacy is one great way of saving the environment. Take initiative and aim for sustainable and environmentally-friendly commercial construction.